Every two years, ending in an even number, 2010, 2012, 2014, etc., Australia’s Champagne Bureau holds a competition known as the Vin de Champagne Awards. Professionals and amateurs each have a category. Essays are set to test knowledge and communication skills, and people appointed by the Head of the Australian Champagne Bureau examine these essays. Sometimes one finds that it is one’s own mentor who is doing the marking, but the essays are often cross-checked by other examiners. If one’s essays are deemed worthy, an invitation to an interview is the next step. The interview consists of a blind tasting of three champagnes, after which the prospective winner is asked to comment upon and possibly identify the wines concerned. There are also questions regarding the champagne industry. The Head of the Champagne Bureau selects the Chairman and the panel of judges. 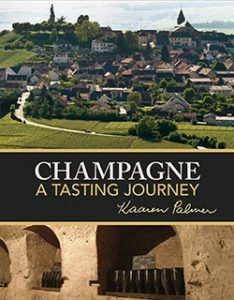 The essays really improve one’s knowledge of champagne, and the tasting practices that it’s a good idea to do before the interview, deepen one’s love. champagne. The winner receives an educational trip to Champagne as guest of the French Champagne Bureau. The dates of the next Vin de Champagne Awards will be published on this site’s NEWS & EVENTS. Created in 2005 by the Champagne Committee (CIVC), the European Champagne Ambassadors Competition aims to highlight the professionals whose work contributes to promoting, understanding and appreciating the diversity of Champagne wines through education and training. The competition is open to anyone whose profession is to transmit knowledge of wine: teachers in hotel schools or private training centres, leaders of a tasting club, or an author of publications in the field of training. Whether sommeliers, oenologists or amateurs who have become professionals, any candidate in the competition must exercise his training activity in the participating country. Three finalists are selected from each country, and they will proceed to another level of testing. Each country’s winner receives champagne glassware, bottles of champagne and a trip to Champagne as a guest of France’s Champagne Bureau. At the end of the trip, the European Ambassador (the lauréat) is announced, as well as a runner-up known as a Vice-lauréat. A special prize is also awarded. A trophy is awarded to the top candidate, and there is a certificate, a silver champagne bucket, and magnums and bottles of champagne given to each of the two new European Ambassadors, plus prizes for the Special Prize winner.